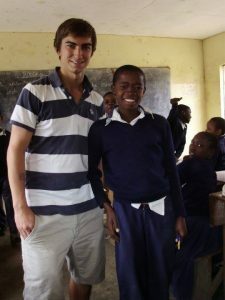 Tanzania winter volunteer program 2018 is another opportunity to volunteer in Tanzania when its summer in Tanzania and winter in Europe and America. If you are planning to take a vocation or winter break in 2018 then our winter volunteer program 2018 is an ideal option for you. Over the year you probably been enjoying winter on the comfort of your home and this could the time for a change. Think of you enjoying summer during winter and at the same time making difference into people lives. This is what actually our Tanzania winter volunteer program 2018 is going to offer to you. Choosing our winter volunteer program 2018 has also been due to enjoying X-mass and New year in a different environment. However the most important reason for joining this program has been making a difference in this special period of the year. Volunteer are asking us what is it like volunteering during winter in Tanzania? Some volunteers think may the environment is as cold as in Europe and America. Some of them fear that may such weather will hinder a perfect Tanzania winter volunteer program 2018 for them. I just want o clarify and assure volunteers that probably this is the best time of the year to volunteer in Tanzania. Our Winter volunteer program 2018 takes place from late November to late January where it never cold in Tanzania, the weather is just worm and moderate with periodic rainfalls that wont affect your volunteering. However not all projects will be ideal during this period, we advice our volunteers not to go for teaching project if they have opted for our Winter volunteer program 2018. We are advising them to go Orphanage winter volunteer program and Medical Winter volunteer program. We are discouraging registering for this project during our winter volunteer programs due to the fact most schools in Tanzania are usually closed in this period of the year. However Hospitals and Orphanage run through out the year and that’s why we advice volunteers to opt for this as an alternative. For volunteers that teaching is what they wanted to do during their winter volunteering, not to worry we can still cater for them. Our Orphanage winter volunteer program 2018 is school oriented, hence still giving a chance to volunteer to practice teaching. So while volunteering in Orphanage a volunteer will still be teaching the orphans. Most orphans are students and hence would require some class even during the holidays. So all in all our Tanzania volunteer program 2018 cater for all volunteer with their specific requirements. We can also accept volunteer who demand customize project on special request. If interested, checkout our volunteer opportunities in our site.